Now it's time for the Bold Projects that can turn the market inside out and radically change the world order! will achieve Multiple Profits and Financial Independence . The Expanded Geography of the organization contributes to the impact on the market simultaneously in different countries. 5 options for investment periods 10 currency options. An Ideal percentage correction provides the maximum result of the income in relation to the time of the portfolio . - the opportunity of Early Closing Portfolio after the 60th day. 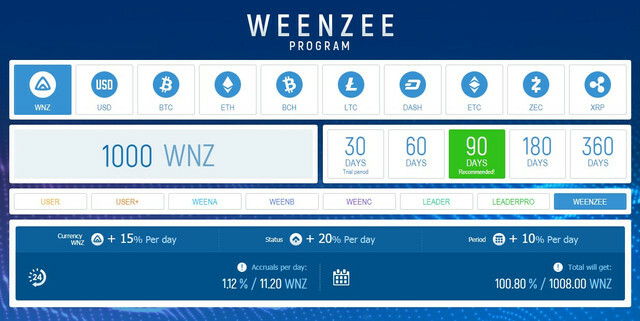 The Weenzee system daily encourages its partners and investors to expand their Leadership Network . - plus 20% of the daily accrual on your deposit (Bonus "For YOUR Status"). 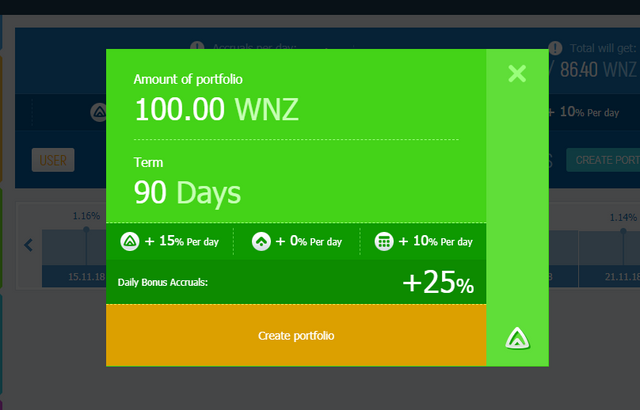 I bought 100WNZ and chose the recommended period - 90 days. Naposledy upravil(a) rata_for dne sob 24. lis 2018 10:39:09, celkem upraveno 4 x. Experts predict that in the coming years, India's economy will come close to the economy of its Chinese neighbor. This country attracts many investors and businessmen. Recently, Indians have become very interested in the blockchain and cryptocurrency. SERIES OF MEETINGS WITH THE TOP LEADER MR.FACHRURROZI! FROM 4 TO 9 FEBRUARY IN PONTIANAK! WEENZEE does not stand still, project ideas spread all over the world. We see more and more people willing to learn cryptographic technologies and develop the blockchain market. We invite such people to our project and guarantee them great prospects! 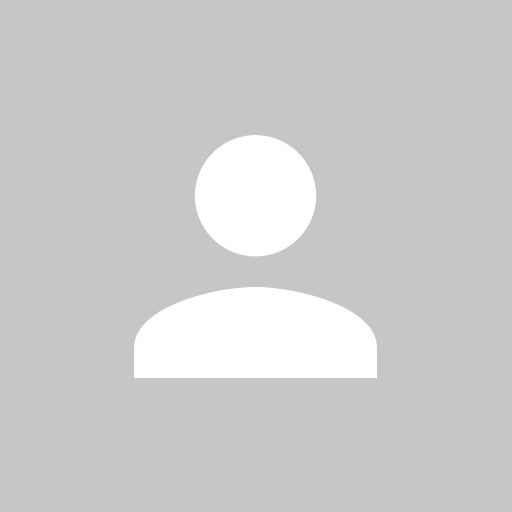 ANNOUNCEMENT: WEENZEE STARTS WEBINARS ON FEBRUARY 7! Interaction with participants is a key link in the work of any project. This is especially important for us, since it is you who determine how actively WEENZEE will develop. Thanks to teamwork, each member of the community will be able to achieve success. ANNOUNCEMENT: FROM 1 TO 15 FEBRUARY WILL BE EVENTS IN JAYAPURA! WEENZEE leaders continue to plan and organize conferences and TableTalks with people all over the world. New initiative employees and future cryptocurrency experts are extremely important for the company. In turn, we guarantee you prospects for self-development and a stable income from the project. LATEST NEWS ABOUT WEENZEE FROM SOUTH KOREA! 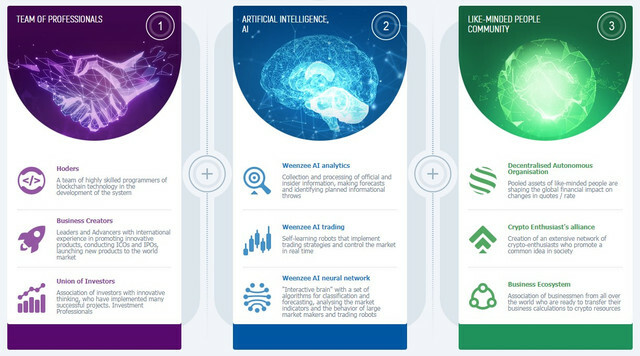 The project WEENZEE is widely discussed in the most advanced countries of the world. In South Korea, there is a lot of media about cryptotechnologies, and many bloggers write about the blockchain. Many of them noticed WEENZEE and wrote about our business platform in their blogs. Details - in the article! An increasing number of leaders and participants join the innovative project Weenzee. And we try to satisfy all your wishes and requests. Including wishes about holding open tables in different cities. Japanese technology is known around the world. If you start listing all the companies and their achievements, then there is not enough space here. In the past few years, scientists, businessmen and investors of this country are eyeing a new technology - the blockchain. Moreover, cryptocurrency may soon become part of the Japanese economy.